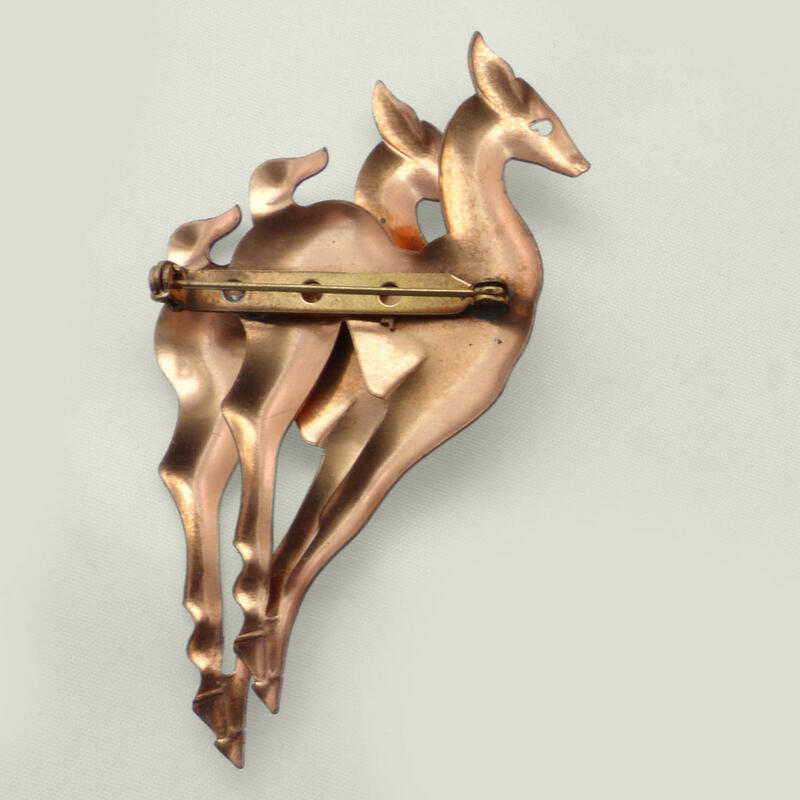 Burnished copper 1970's Art Deco revival brooch formed of twin leaping deer accented with claw set rhinestones. 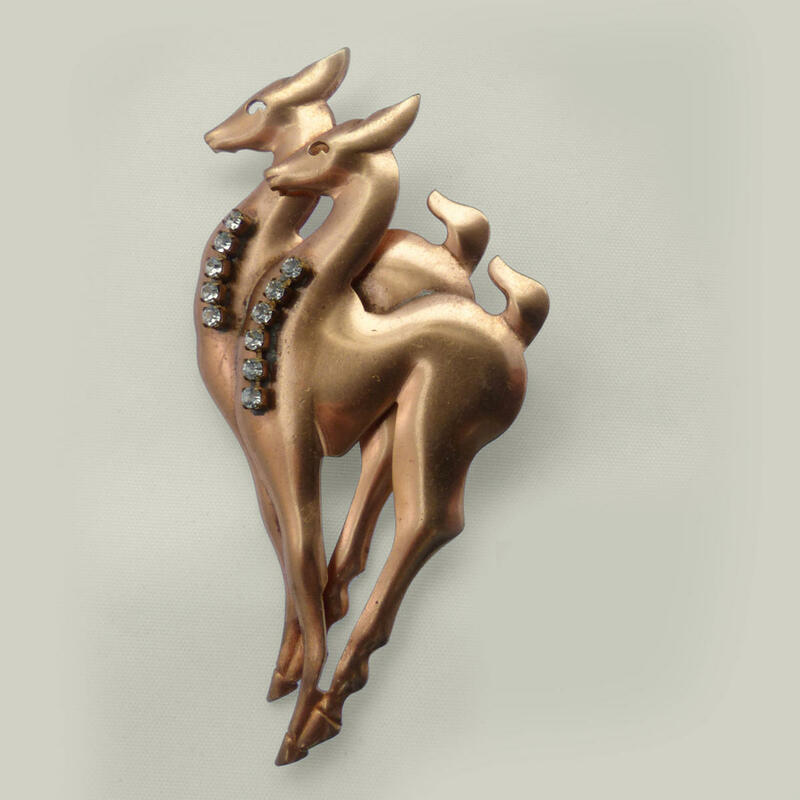 Beautifully detailed, with pierced eye detail and shaped in a way that creates light-catching tone. Near mint condition, some teeny scratches to the front 6.5cm high.